My responsibility is to oversee all operations in a 42 sq mile area that serves a minimum of 127,000 residents. I command 224 officers and civilian personnel. I am in charge of managing my assets and tasked with reducing crime in District One. Thus far since being a Major in District One, I have reduced crime -14% along with my team. I have served since 1992, over 23 years at the Tampa Police Dept but have prior Law Enforcement experience totaling almost 30 years. 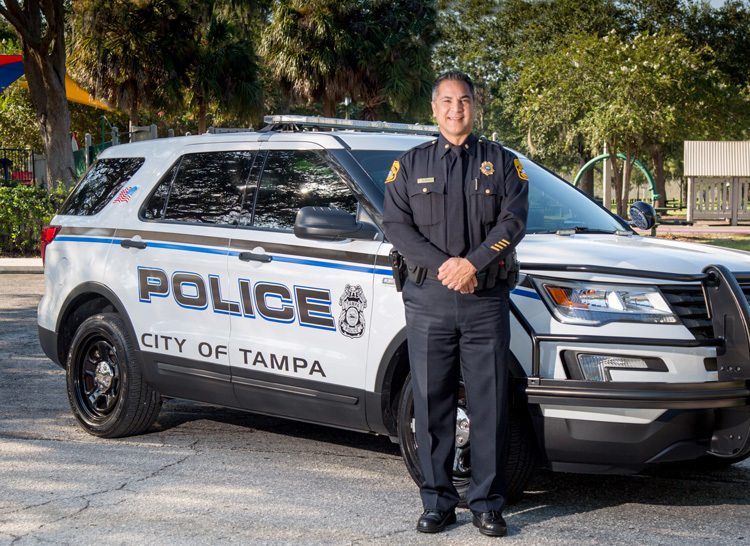 My connection to West Tampa is that I have worked and been assigned here as an officer and as the former Hispanic Liaison got to know many Hispanic families and businesses in this area and have developed a great relationship which has been long term. I am also fortunate to speak Spanish which has helped me a great deal while working in West Tampa. I am a very active member of my church and have been playing drums since age 11 and have recorded some music with several bands in the past. I have been a member of the Mayor’s Hispanic Advisory Council, Affiliated with the Hispanic Heritage organization in Tampa and have also served as a board member of the city’s Human Rights board and am a current member of the NAACP Hillsborough Co Chapter. My biggest accomplishment was getting promoted to the rank of Major. Whats happening in West Tampa is that crime is coming down and in the next 5 years, the new revitalization programs going on will make this area one of the most sought after areas to live, work and play in. I look forward to continuing to serve the citizens of West Tampa and continue to develop relationships with all. Transparency is key in developing those relationships and is the way that we will be able to carry out our mission and that is to: Reduce Crime and Improve the Quality of Life with a Cooperative Partnership with all Citizens!! A very special thank you WTC members Dr. Jack Maniscalco for photography and Dan Gysel of DANG designs, Inc for creative direction.